That Ariana Grande reign just won’t let up! After a two week break from the top, Grande’s latest chart-topper – ‘7 Rings’ – shines at the summit of the Hot 100 again. 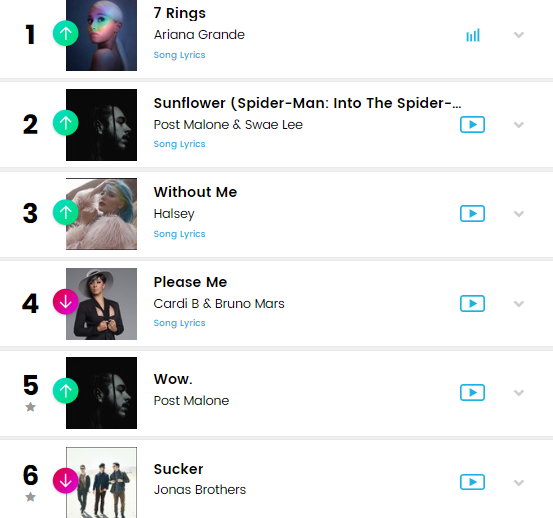 Powered by another week of streams, consistent sales, and strong radio impressions, the return to the top marks ‘Rings’ 6th non-consecutive week as chart champ. 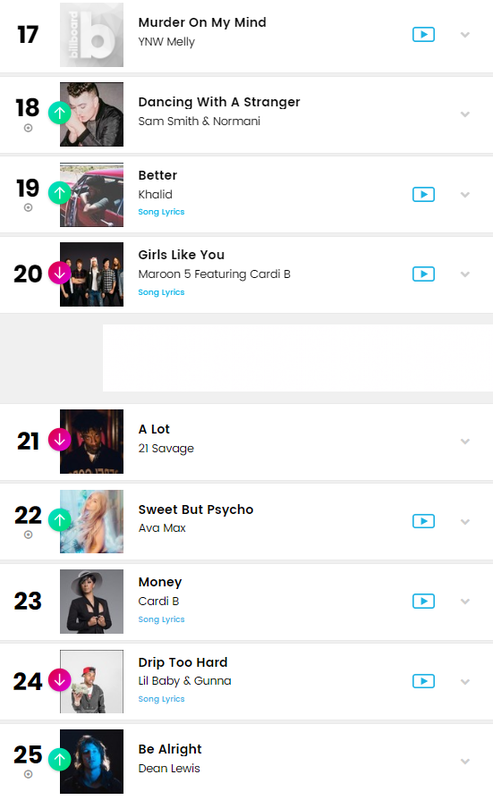 This top 25 is tragic. This is it folks. 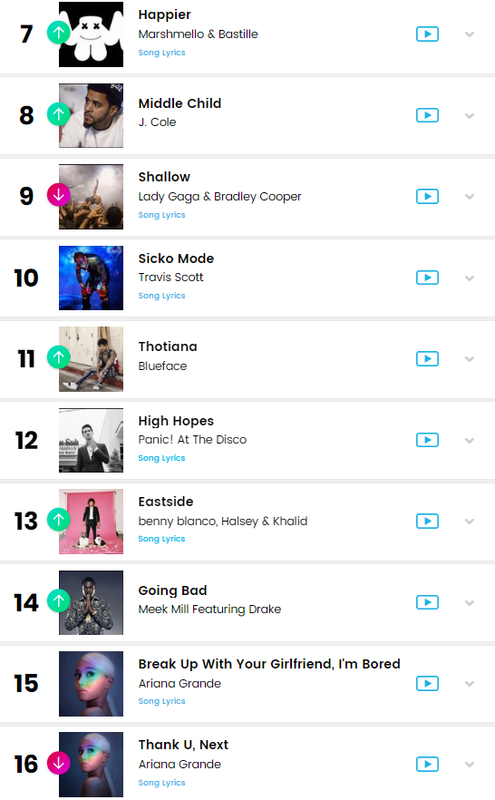 THIS is the so called “best” music in the country. 🤷🏽‍♀️ Sis, if my “fave” was on this list next to these people, they probably wouldn’t be my fave. That was the point. Keep up. But I guess this must mean that all your mediocre faves are sitting pretty somewhere on this list of woes. Congratulations. Makes sense! Besides Cardi B, she doesn’t have any competition right now. I’d like to see how she fares dropping during the same time as Beyoncé, Rihanna, Britney, and Gaga? I guaran damn tee she will be recluse! Look at you holding a new female rapper to the heights of legends. Yeah, Cardi got you bothered too! Sam smith deserves a no.1 for dancing with a stranger. Cardi b getting a 4th number 1 will be the final nail in nicki minaj’s career. Lmao not while Nicki is still selling out arena around the world. Comment after cardi can do that. Has she even sold 250k albums yet? Lmfao hold your coffin nails until she does. Why though?? Shallow by Lady Gaga keeps and keeps returning to #1 on real sales on itunes even now after 6 months. So why keeps this basic girl now getting this forgettable #1s so easily? I don´t see her slaying sales.